Since 1883, students from across Texas and around the world have come to The University of Texas at Austin to seek challenges and open doors to the future. Graduate students choose the university for its reputation for academic excellence, its commitment to research and teaching, and its location. They also choose it for the diversity—in all its forms—evident on campus, and for which Austin is famous. 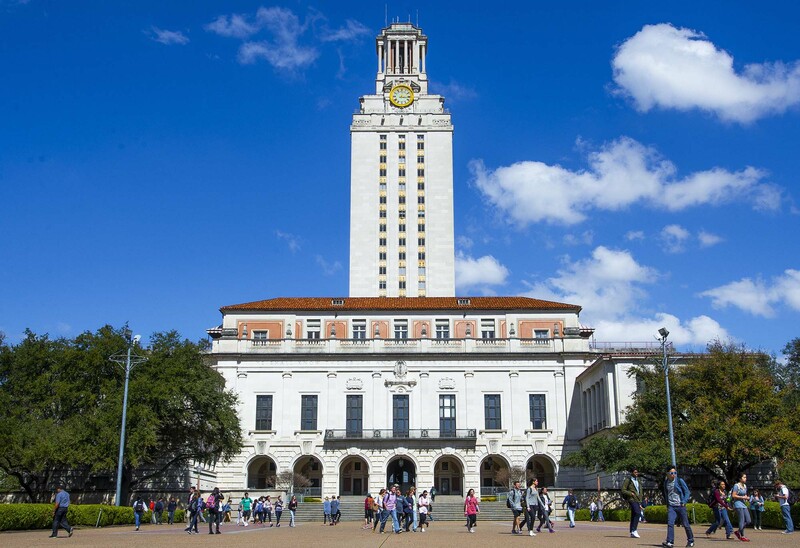 The University of Texas at Austin is one of the world’s leading research universities, supporting cutting-edge research in all disciplines and offering more than 200 dedicated research units and centers, ranging from the Texas Advanced Computing Center to the Teresa Lozano Long Institute of Latin American Studies. It’s all done with an eye toward excellence. With a cost of living that’s less than other major metropolitan areas like Los Angeles, New York and Seattle and a job growth rate that’s the strongest in the country, Austin is a great place to continue not only an education, but a career. The University of Texas at Austin is big and bold. But it's also a place where graduate students find themselves, both in the classroom and in our unique, keepin'-it-weird community. Come visit the Forty Acres and see our beautiful campus for yourself. Take a tour, connect with faculty, and visit our world-class resources, libraries and labs.